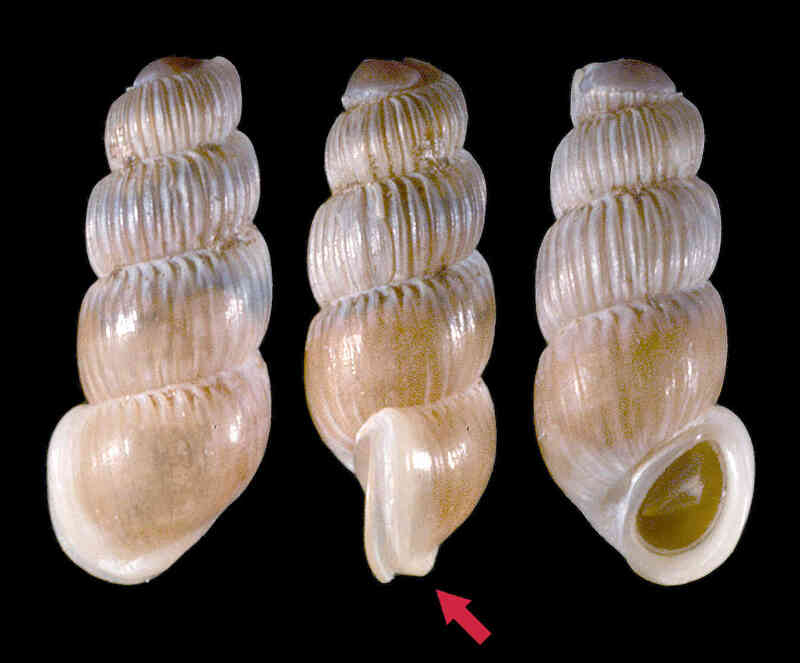 Shell size to 6.5 mm; shell elongate, with six rounded whorls each with 17-40 axial ribs. Suture indistinct. Color yellowish to brownish. Differs from T. caribaeensis by smaller size, eventual presence of a basal ridge, and presence of a thicker outer lip that sometimes looks “doubled” (arrow). Found in mangrove litter above high-tide line.